Sometimes, it doesn't do our inner self good to be too aware of all of the depravity occurring in the world today; particularly when it hits so close to home. Admittedly, I look at the opioid epidemic, the high suicide rate, the violence and the struggles between nations, but then I remind myself that there is a God that sites high and looks low! We have to shake our self and remind our self that we serve a God, who despite all of the turbulence in the world today, is in complete control; a God who is sovereign. People have armed themselves in all types of ways to protect themselves against the evil and depravity of today. But we, as saints of God, must have our reliance totally in God. We serve a God who extends grace and mercy in ways that we are totally unaware of and so despite everything that we read in the newspaper and watch on TV and read on the internet, we should still wake every morning and thank our Lord and Savior for who He is. 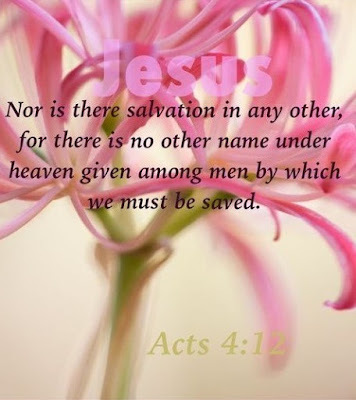 But most of all, we thank Him because we have a plan, just like Rahab, the harlot, so when the day of destruction comes, we will be safe with Jesus. Our plan is to follow the path of salvation as it is laid out in God’s word. This plan gives us a hope that transcends the concerns of this world. We all know that there are those that do not have a hope in Christ, but we should be grateful that we serve the one, true, living, almighty God - not Buddha or Confucian, or Mohammad or any other man made or man created God. We serve the one, the only true, living God. O bless His holy name! Through the grace of our loving heavenly Father, one day the scales were removed from our eyes and we were able to see and accept God into our life. We don’t have to be afraid because God has equipped us with power from on high. When He called us out of darkness into His marvelous light, we were loosed from the binding spirit of fear and we can call on Abba, our heavenly Father, and we know that He hears us and He’ll take care of us. Psalms 27 is a powerful acknowledgement to the power and protection of God. Apostle Paul tells us about arming our self against the evil one. One of our pieces of protection is the sword of the spirit. 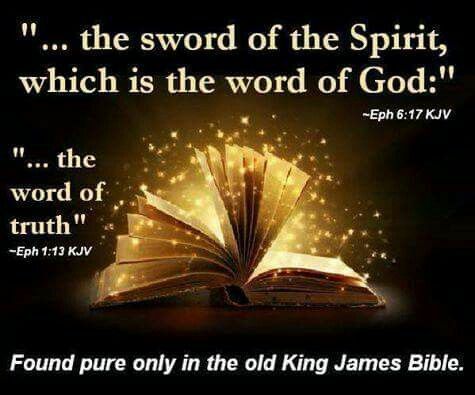 It is the sixth piece of the armor of God that Apostle Paul talks about (Ephesians 6:17) which is the "word of God." How does a Roman soldier's sword help us understand how to use the Bible to win our spiritual battles? The sword is the only item listed by Apostle Paul that serves in an offensive capacity. Even if we have all the rest of the armor equipped perfectly, without our sword, we amount to little more than heavily armored targets. The sword is the only weapon Apostle Paul lists as part of the armor of God. God's Word is illuminating It reveals to us the good and the bad, the wise and the unwise. It is the ultimate tool in learning how to live the best possible life, free from the restraints of stumbling in darkness. But sanctify the Lord God in your hearts: and be ready always to give an answer to every man that asketh you a reason of the hope that is in you with meekness and fear: (1 Peter 3:15). The all-powerful sword of the living God is able to cut through every defense our enemy can raise. When wielded by a servant of God, nothing can withstand its ability to cut straight to the core of a matter and uncover the truth. Unlike all other pieces of the armor of God, which are solely defensive, the sword is uniquely suited for both defensive and offensive roles. A solid defense is invaluable, but the sword is the only way we can complete the work we have been given to do. Then saith Jesus unto him, Get thee hence, Satan: for it is written, Thou shalt worship the Lord thy God, and him only shalt thou serve. (Matthew 4:4, 7, 10). we will not be able to enter God's Kingdom. We see that trials, however uncomfortable, are essential in our journeys as Christians. After all, the promises of ,Revelation 2:7 11, 17, 26 and 3:5, 12 and 21 are given "to him who overcomes" and not "to him who remains as he is." coupled with His Holy Spirit, cannot defeat. And so, armed with our defensive weapon; the sword, along with our spiritual armor and He that dwells within, we step out to fight our enemies head-on. The struggle is real. It is immediate, and it is in front of us. God’s Word is a powerful weapon against the enemy when it's used under the spirit's power and direction.